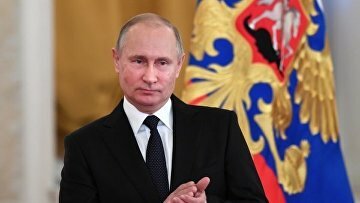 Putin signs bill protecting minors against criminal online communities into law | Russian Legal Information Agency (RAPSI). MOSCOW, December 18 (RAPSI) – Russian President Vladimir Putin has signed a bill on protection of children from involvement in illegal activities threatening their life through online social networks into law. The document has been published on the official website of legal information. The law is aimed at restriction of criminals’ access to communication with minors and prevention of their malign influence on children.